Tell him about it: Dr Paul Litchfield is carrying out a review of the Work Capability Assessment and needs to know how you think the system could be improved. The Coalition government would like him to think that there is no need for any change at all; if you don’t tell him exactly what you think of it, he won’t know any different. As someone with direct experience of the assessment procedure, I made my own submission shortly after writing the piece, and I am reproducing it here. I threw as much information into the submission as I could, and I would like to take this opportunity to beg everybody who has also experienced a work capability assessment to do the same. It is weight of numbers that will carry any changes to this diabolical, unfit-for-work assessment system; if you have been affected, you cannot rely on other people to get it changed for you. 1. If you have undertaken a WCA yourself or represented somebody who has, what has been your/their experience of the face-to-face assessment and follow up contact with the DWP? Before the assessment we were not provided all the information we needed, such as details of how to arrange to have the interview recorded. I went along with a Dictaphone, expecting this to be allowed, but the Atos employees made a huge fuss about it and it was clear that they were not prepared to go ahead with the interview if we insisted on recording it. This would not have been our fault or theirs, but the fault of the DWP for failing to make the situation clear. The DWP claims to have only 31 recorders available to it, but this seems ridiculous when every work capability assessment is carried out on a laptop computer which is perfectly capable of running audio recording programmes and burning the resulting files to disc. 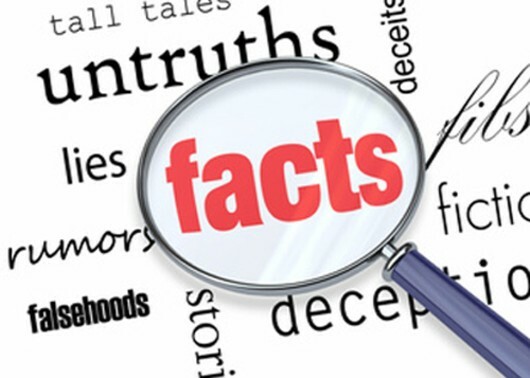 Fears that someone might tamper with the files (hardly likely between finishing the interview and creating the disc minutes later) can be allayed with a simple time-check at the beginning and end of the recording; the length of the recording should match the time expired between the start time-check and the stop time-check. Microphones are extremely cheap – even more so if ordered wholesale – so there is no reason not to provide them in order to ensure sound clarity. The assessment itself was inadequate – not fit for purpose. The problem is that the questions have been devised in order to shoehorn ESA claimants into particular categories – therefore the assessor needs straightforward “yes” or “no” answers about conditions that are NOT straightforward, and for which such answers would be inappropriate. I attended my partner’s WCA and, with almost every question, she was trying to explain how her situation affects her. This was of no interest to the person conducting the assessment. The problem lies in the fact that the whole system was originally devised by an American insurance company – Unum – in order to find ways of refusing payouts to customers whose policies had matured. Despite the fact that this strategy led to the company being successfully prosecuted in its home country, the UK government enthusiastically hired Unum to transform the assessment of disability/incapacity benefit claimants along the same lines. The implication is always that the claimant’s illness is in his or her mind, and in fact they are perfectly capable of doing a job. There is no effort to find out the claimant’s actual medical condition – all effort is devoted to finding which category they can most easily be put into. There’s more but I’m out of space! 2. On the basis of your experiences, can you suggest any changes to improve the face-to-face part of the WCA? Please give details of why you think these changes would help. 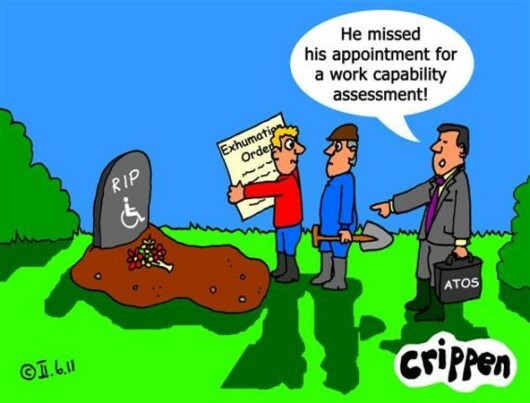 Scrap the work capability assessment as it currently exists; it is a waste of time and money. The interview should be a genuine fact-finding exercise in which a genuine medical doctor gathers all the evidence possible about a claimant’s case, including evidence from their GP and other experts involved with it, and makes an assessment without having to conform to any requirements imposed by the government (which has its own agenda). My partner has mental health issues but there was no attempt to address them. She also has fluctuating health conditions but these were not explored either. New guidelines on these may have been brought in after her assessment but she was not contacted about them afterwards. 3. Thinking about the overall WCA process from when you make a claim for ESA to when you receive a notification of a decision from the DWP, what changes do you think are needed? Please give details of why you think these changes would help. The ESA50 form should be scrapped and re-thought. The questions in the ‘descriptor’ section are bizarrely-worded and unfit for use as any means to judge a person’s fitness for work. For example, section 8, ‘Getting around safely’, is said to be about visual problems, but the request is “please tick this box if you can get around safely on your own”. I had to write “This is a misleading question. She can’t, but not because of sight problems”. The form provides an opportunity to mislead assessors about the issues they will face at the assessment. The decision notification must be much more detailed. Claimants need to see not only what the decision was, but why it was made. 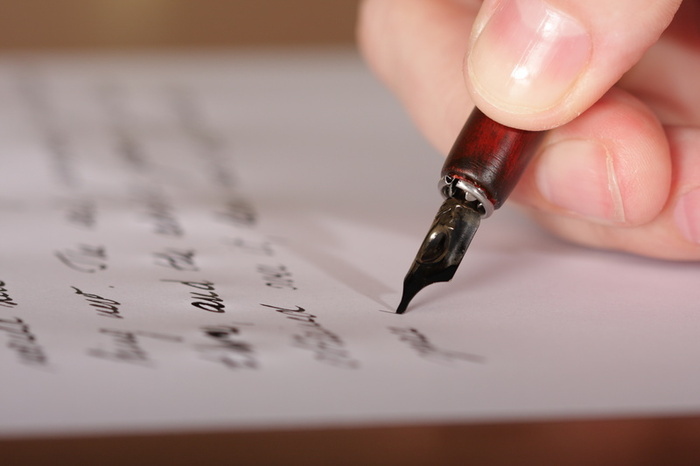 They do not currently receive a copy of the assessment/assessor’s notes, and must instead request it after receiving the decision notice, if they intend to appeal. Why? What does the DWP/Atos/the individual assessor have to hide? Making the recording of assessments mandatory and providing all the documents used to make a decision along with the decision notice itself would hugely increase transparency in the process, helping to prevent costly mistakes. 4. Please give us any further information and evidence about the effectiveness of the WCA, particularly thinking about the effect on claimants, that you consider to be helpful. My partner was put in the work-related activity group of ESA and told she would be contacted about what she would be required to do. She had to wait FOUR MONTHS (out of a 12-month benefit period) before anybody got in touch. After an interview at the Job Centre, a work programme provider contacted her and established, within half an hour of telephone conversation, that there was nothing they could do with her. She was advised to request reassessment, which she did. That was six months ago and we have heard nothing. As her benefit period is coming to an end, she is currently undergoing reassessment anyway, but this does not excuse the DWP from its tardiness. You can see from this that the WCA, in my partner’s case, produced an inaccurate response. She is not the only one – statistics from the tribunals service show the number of appeals against WCA decisions between January and March have more than doubled, compared with the same period last year, and findings for the claimant have risen to almost half of cases (43%). The work programme has failed most WRAG members – as it failed my partner. Only 10% of them have found work, according to the DWP – around 1.7% of all ESA claimants. This conforms with the view that the rest have been misplaced and are too sick or disabled to work. Of course, the WCA has had a devastating effect on many claimants – statistics last year showed dozens were dying every week, while going through the process, while appealing, or after having been found ‘fit for work’. The DWP is refusing to release current figures, which implies that they have not improved. This proves that the system does not work and should be scrapped. The fact that claimants have DIED while going through this process, and ministers have done nothing about it, implies corporate manslaughter and I would certainly recommend that criminal investigations take place on this basis. Hopefully others will provide details of some of the deceased; otherwise I should be able to provide contact details. The Coalition government is launching a call for evidence to help with its fourth annual independent review into the Work Capability Assessment process – and I, for one, will be delighted to be part of it. The review will be carried out by Dr Paul Litchfield, a senior occupational physician replacing Professor Malcolm Harrington, who ran the review process for the previous three years. According to the Department for Work and Pensions’ press release, it “will continue the process of monitoring whether the assessment is effective in identifying people who could be helped back to work, while ensuring financial support goes to those who are too sick or disabled to seek employment”. We all know that the WCA is a total failure in those terms. Recent Work Programme and appeal tribunal statistics are unequivocal in making that clear. Now – if you have had the same experience of the assessment process as I, and Mrs Mike, have – it is time for you to have your say. It also includes links to more information about the reviews, large print and Easy Read documents. Audio and BSL versions “will be made available on this page shortly”. “In launching the call for evidence, Dr Litchfield will be considering both how the suggested improvements from previous reviews are working, and what further refinements can be made. Dr Litchfield is particularly interested in hearing how the WCA works for people with mental health conditions. “Dr Paul Litchfield said: ‘This fourth review is an appropriate time to review the impact of the changes that have been made to the WCA in recent years, including those recommended by my predecessor Professor Malcolm Harrington. I will also be considering if more can be done to ensure that the assessment process is both effective and perceived as being objective by all stakeholders. “Employment Minister Mark Hoban said: ‘Helping people who can work into a job, while giving financial support to people who need it, is one of my top priorities. That is why it is so important that the Work Capability Assessment is as effective as possible. If “no fundamental reforms are needed”, then why is the DWP refusing to provide details of the number of people who are dying while going through the assessment process, appealing against its decision, or after having been thrown off-benefit? Clearly it seems to have something to hide and until we find out what that is, such claims should be considered to be wild fantasies with no basis in reality. You’ll notice the possibility of having the Work Capability Assessment recorded is not mentioned, even though there was a debate within the last month. Does Hoban really think our memories are so short? A submission from myself and Mrs Mike would include information on the run-up to the assessment, including the fact that we were not told we had to announce in advance our desire to have the interview recorded. When I arrived, dictaphone in hand, the Atos employees kicked up a fuss about it that could have stopped the interview taking place at all. That would not have been our fault but theirs, for failing to make the situation clear. We would also point out that claims by the DWP to have only 31 recorders are in error, as the tick-box assessment they use is carried out on laptop computers that can easily – and probably do – carry recording and CD-burning software. It would be simplicity itself to provide simple microphones for both assessor and assessee to use, to make questions and responses clear, and concerns over tampering with recordings may be addressed by a time-check at the start and finish. I would raise issue with the ESA50 form, that includes ‘descriptors’ that are said to be intended to help describe a claimant’s condition. In fact they do no such thing. They are there to help Atos assessors fit you into the categories laid out by Unum when it originally devised the process as a way to avoid making payments to customers whose insurance policies had matured. It would be far better to allow claimants to describe their symptoms and provide medical evidence from their doctors; the fact that this would require the DWP staff reviewing the forms to use their brains in consideration of the individual situation, rather than slavishly follow instructions that try to shoehorn people into pre-defined groups, is of no concern to the claimant. I would raise issue with the Work Capability Assessment itself, which also attempts to bypass explanations of the issues in order to shoehorn claimants into providing “yes” or “no” answers to its questions. We have seen from the Conservative Party’s own ‘voodoo’ polling that, if a question is framed in a particular way, the questioner will get the answer they want, and this would not necessarily be productive. Mrs Mike has mental health issues. There was no concession to those issues during her assessment and I do not recall them being explored at all. Mrs Mike has fluctuating health conditions. There was no inquiry into how those changes affect her daily life. Changes for both of the above may have been brought in after the assessment, but they are still relevant to my partner. However, no attempt has been made to contact her or explore her situation in the light of these developments. That is a grave omission. She was put in the work-related activity group and asked to visit her local Job Centre Plus for interviews. After doing so, and being passed on to a Work Programme Provider, it took just one half-hour telephone conversation to establish that this organisation could do nothing for her, and she was advised to seek re-assessment. This was six months into her one-year period on ESA (remember, those in the work-related activity group get benefit for one year only). Nobody had contacted her during the first four months she was on the benefit. Mrs Mike did ask for reassessment but nothing was done about it. She is, in fact, going through the assessment process again, but this is because a year has passed since her initial assessment and it is therefore time for her to go through the whole torturous process again. The form went off in mid-May and we have yet to hear back from the DWP. From our point of view, the whole situation has been a farce. If you have been through the process, how did you find it? Don’t just tell us – tell the independent assessor. A drop in the ocean: That’s what your taxes are, in comparison to the £30,450,000 owed by Thames Water in corporation tax this year. But Thames Water is paying nothing and, even though you’ve paid up on time and in full, if you have to claim PIP or ESA in the future, nothing is what you’re likely to get. “Unum Provident is an outlaw company. It is a company that has operated in an illegal fashion for years.” – California Department of Insurance Commissioner, John Garamendi, 2005. Is there really a connection between the roll-out of the government’s new Personal Independence Payment scam, outlawed (in the US) insurance company Unum, and the fact that Thames Water didn’t pay any taxes for the last financial year, despite profits totalling around £145 million? Would any of you be surprised to read that the answer is yes? PIP, the replacement for Disability Living Allowance, entered the second stage of its roll-out yesterday, when new claimants of working age, applying for disability benefit, were told they would be asking for it rather than DLA. New claimants in northern England have been applying for PIP since April. The new system follows very closely the pattern established by the claim system for Employment and Support Allowance. ESA claim forms ask sick or disabled people to relate their symptoms to a series of ‘descriptors’, using ‘yes’ or ‘no’ answers (there is space to describe the individual issues but we have no proof that this receives any consideration at all). The descriptors are based on a perversion of the so-called ‘biopsychosocial model’, created by American company Unum Provident to provide a defensible excuse for refusing to pay out on disability claims, at a time when the company was finding it hard to come up with the cash. Unfortunately (for Unum) the US legal system decided the excuse was not defensible after all and ordered Unum to reconsider 200,000 claims, back in 2006. Unfortunately (for British disability claimants) by then Unum already had its claws in the UK’s Department for Work and Pensions. For more on Unum, see Mo Stewart’s excellent series of reports, written over a three-year investigative period, here and here. At least one major newspaper reported last year that the Atos-run work capability assessments were finding 70 per cent of ESA claimants fit for work. Of the remaining 30 per cent, 17 were put in the work-related activity group, meaning they were being asked to recover within one calendar year of the benefit being awarded, no matter what their condition. The remaining 13 per cent were put in the support group, which allows indefinite continuation of their claims. Official government figures put entitlement for the benefit at 99.6 per cent. 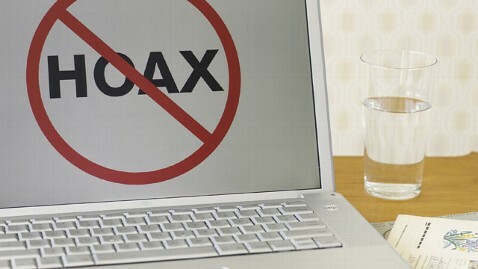 Less than half of one per cent of claims have been found to be fraudulent. So there’s a bit of a credibility gap in the government’s system, isn’t there? A gap spanning 69.6 per cent of claimants at best, and 86.6 per cent at worst. That is the Unum influence. The government has taken this company’s criminal (in America) scheme to deprive insurance policyholders of their payouts and applied it to the national insurance scheme that is the British benefits system, in order to deprive UK citizens of their benefits and rob them of the rewards due to them for paying their taxes. Let’s all remember, please, that the majority of people claiming ESA have paid their taxes, on time and in full. How many big businesses operating in this country can say the same? Not Thames Water, that’s for sure. The BBC reported yesterday that the UK’s biggest water firm, which is privately-owned, paid no corporation tax in the last financial year, despite making £145 million in (it says here) pre-tax profit. The company says this is because it has offset the interest payments on its debts against its tax liability, and claimed allowances on capital project spending. It has been seeking government support for a £4.1bn project to build a new “super sewer” under the Thames, as reported in Vox Political last year. The total amount of tax owed but offset in this manner is around £1 billion – but let’s not forget that this amount may drop. Part-time Chancellor George Osborne has already cut corporation tax by a quarter (from 28 per cent in 2010 to 21 per cent now) and there is no evidence that he won’t carry on slashing it, to help out his big business buddies and royally screw up the public finances. Thames Water increased its bills by 6.7 per cent last year. It has reported an increase in revenues of six per cent. Doesn’t that mean that it only needed to raise its bills by 0.7 per cent in order to maintain profits? 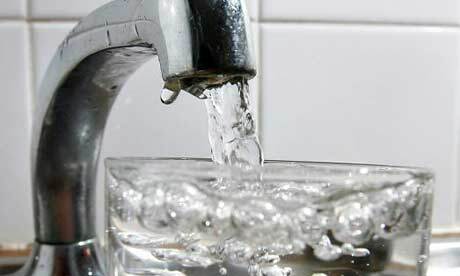 Doesn’t that mean that the remainder of that increase is down to the greed of its private shareholders, amounting to nothing less than robbery of the 14 million customers who – in this great era of consumer choice, ushered in by David Cameron – have absolutely no alternative water suppliers at all? I wouldn’t want to be living in the Thames Water catchment area and applying for PIP right now. Also, what if you’re in that position, but living on social housing that the government decides is too big for you, triggering Bedroom Tax payments? How are you going to pay what you’ll owe on the Council Tax Reduction Scheme (the Pickles Poll Tax)? If you’re in that position, just remember it’s a Conservative-led government that put you there, in Coalition with the Liberal Democrats. Did you vote for either of them in 2010? If so, will you do it again in 2015? If you say yes, you’ll be entitled to PIP on grounds of insanity – but then the government will lose voters, so that won’t be allowed. Unum, Atos, the DWP and the WCA; Who gets the blame for the biopsychosocial saga? Mansel Aylward, former chief medical officer at the Department of Work and Pensions, now director of the (UnumProvident) Centre for Psychosocial and Disability Research at Cardiff University: Architect of misery? If we know anything at all about the Work Capability Assessment for sickness and disability benefits, we know that it doesn’t work. In fact, it kills. There is a wealth of evidence proving this, and if any readers are in doubt, please take a look at the other article I am publishing today, MPs tell their own Atos horror stories. Much has been made of this fact, without properly – in my opinion – addressing why it doesn’t work. The apparent intention is an honourable one – to help people who have been ‘parked’ on disability benefits back into work, if it is now possible for them to take employment again, and to provide support for those who cannot work at all. What went wrong? Let’s start at the beginning. The WCA is, at least nominally, based on the biopsychosocial model developed by George Engel. He wanted to broaden the way people think about illness, taking into account not only biological factors but psychological and social influences as well. He contended that these non-biological influences may interfere with a patient’s healing process. The idea has been developed to suggest that, once identified, the non-biological factors inhibiting healing would be neutralised via a variety of support methods. Stressful events in a person’s life or environmental factors are acknowledged as having real effects on their illness, and it can be seen that this confers a certain amount of legitimacy on symptoms that are not currently explainable by medicine. Engel stated, in 1961, “Many illnesses are largely subjective – at least until we as observers discover the parameters and framework within which we can also make objective observations. Hyperparathyroidism… was a purely subjective experience for many patients until we discovered what to look for and which instruments to use in the search.” He also warned that people engaged in research should “see what everyone else has seen and think what nobody else has thought” – as long as they don’t automatically assume that their new thought must be correct. The Engels theory forms the basis of the system of insurance claims management adopted by US giant Unum when its bosses realised that their profits were being threatened by falling interest rates – meaning the company’s investments were losing value – and a rise in claims for “subjective illnesses” which had no clear biological markers – Myalgic Encephalomyelitis (ME), also known as Chronic Fatigue Syndrome (CFS), Fibromyalgia, Chronic Pain, Multiple Sclerosis, Lyme Disease, even Irritable Bowel Syndrome (IBS). As I wrote on Wednesday, Unum adapted the biopsychosocial model into a new medical examination that stripped it of its ‘bio’ and ‘social’ aspects in order to concentrate on the ‘psycho’ – with a relentless emphasis on an individual claimant’s beliefs and attitudes. Already we can see that this is a perversion of Professor Engel’s theory, using it to call an individual’s illness into question, not to treat it. Yet this is the model that was put forward to the Department of Social Security (later the Department of Work and Pensions) by its then-chief medical officer, Mansel Aylward, in tandem with Unum’s then-second vice president, John LoCascio. Together they devised a new ‘All Work Test’ that would not actually focus on whether an individual could do their job; instead it would assess their general capacity to work through a series of ‘descriptors’. Decisions on eligibility for benefit would be made by non-medical adjudication officers within the government department, advised by doctors trained by Mr LoCascio. Claimants’ own doctors would be marginalised. When New Labour came to power, Mansel Aylward was asked to change the test to reduce the flow of claimants with mental health problems. In came the ‘Personal Capability Assessment’, which again focused on what a person was able to do and how they could be supported back into work. It is at this point that US IT corporation Atos Origin (now Atos Healthcare in the UK) became involved. The task of administrating the PCA was contracted out to a company which was taken over by Atos, meaning its employees – who had no medical training – could now assess claims for sickness and disability benefits, using the company’s Logical Integrated Medical Assessment tick-box computer system. These evaluations proved unreliable and the number of successful appeals against decisions skyrocketed. So in 2003 the DWP introduced ‘Pathways to Work’, in which claimants – now labelled ‘customers’ – had to undertake a work-focused interview with a personal advisor. If they weren’t screened out by the interview, they would go on to mandatory monthly interviews where they would be encouraged to return to work and discuss work-focused activity. I can assure readers, from personal experience with Mrs Mike, that this activity remains a prominent part of the DWP’s sickness and disability benefit policy. Mansel Aylward is no longer at the DWP, though. In 2004 he was appointed director of the UnumProvident Centre for Psychosocial and Disability Research at Cardiff University (it has since dropped the company title from its name). Was this as a reward for services rendered in getting Unum and its practices into the heart of the UK government? … is “fit for work”. Kate Green, Labour MP for Stretford and Urmston, added: “My constituents told me categorically last week that they believe that the whole system was deliberately designed and operated to trick them — to make them incriminate themselves and to catch them out. “They firmly believe that the system is deliberately designed, not to assess and then help them into work if they are fit for it, but simply to stop paying benefits wherever possible. “There are far too many instances of trickery and misleading people and of distorting what they have done, said and reported and drawing conclusions from that. That is happening far too often. It seems to be a result of Professor Aylward’s work that the main influence on government welfare reform has been a perversion of a perversion of a theory that has not been shown to work. Authentic evidence is disregarded by those in power, who clearly continue to persecute the sick while feeding the profits of private concerns. I wonder what he would have to say, if he were to be confronted by the evidence of what his policies have done to the sick and disabled of this country – as spelled out, in the House of Commons, by MPs from many parties. Afterthought: It should be noted that Professor Aylward is on record as having expressed doubts about the Work Capability Assessment and the current system, as run by the government, with the caveat that he has not been involved for several years. In the light of what happened while he was at the DWP, I leave it to readers to judge whether he will. Some supporters of disabled people are using this image as a car sticker, to raise awareness of dissatisfaction with the Atos assessments. The most telling moment in today’s (September 4) Westminster Hall debate on Atos and Work Capability Assessments came when Chris Grayling was delivering his speech. A woman shouted, “You’re killing us!” and was immediately told to shut up or the public gallery would be cleared. It was an act of insensitivity that put into a nutshell the Coalition government’s attitude to public discontent over its Work Capability Assessment regime for claimants of the new Employment and Support Allowance (and soon, the new Personal Independence Payment); it doesn’t care what we say, it will carry on doing what it wants, and it will lie to us about what that is. Mr Grayling did not address these concerns in his speech. He said the DWP would not be changing the controversial ‘descriptors’, that are used in WCAs by the tick-box assessors, who need them to understand whether any person’s abilities mean they deserve a much-coveted place among the 13 per cent of claimants in the ‘Support Group’ – or whether they should be turfed out into the ‘Work-Related Activities Group’ or market “Fit For Work”. But a potential new set of descriptors, more appropriate to the conditions suffered by the sick and disabled, is still being considered. Where’s the truth? He said the assessment regime had “no financial targets”. This was a flat-out lie. We know there are targets because Atos trainers made that perfectly clear in the recent Dispatches and Panorama documentaries on the subject. “Atos do not take decisions.” Another lie. The DWP decision-makers rubber-stamp Atos recommendations in the vast majority of cases. He repeatedly told us the process was “not an exact science” before contradicting himself by stating that the government wants to “get it right”. Before he got up to speak, the criticisms had been mounting up like a tidal wave against him. All to no avail, as he sailed on, oblivious. “How many people have died between being rejected and their appeal, and how many committed suicide?” This was a question I was hoping to hear, as this blog has been criticised for using the “32 deaths per week” statistic. No response to that one, though! And what about corporate manslaughter? The issue wasn’t even raised, but the government – and Mr Grayling, together with his (now former) boss Iain Duncan Smith – might be guilty of killing thousands. “Will claimants still get ESA while they ask for a reconsideration?” The current answer is no. Judging from the lack of response in the debate, that will remain the case. Assessors’ lack of mental health knowledge came up time and time again. Labour MP Stephen Timms made some strong points. He pointed out the fluctuating nature of many claimants’ conditions, and warned that the work capability assessment does not take account of changes. “The WCA must not be a snapshot,” he said, and went on to add that the test needs “radical improvement”. He admitted that Employment Support Allowance was a Labour initiative – but made it clear that the Coalition rolled it out before trials to ensure it was fit for purpose had been completed. She called for the contract to be re-written, saying it “can’t be fixed with a few tweaks here and there”. Tom Greatrex, who opened the debate, said too many people were being found fit for work when they weren’t fit at all. He said the £60 million cost of appeals against assessment findings meant the taxpayer was effectively paying for a system that doesn’t work, then paying again to put it right. He said details of the Atos contract should be made public (a forlorn hope; confidentiality is a large part of many government contracts with private firms, although the Atos contract is particularly vague). And he pointed out that, although Mr Grayling had said the transfer schedule for moving people off Incapacity Benefit and onto ESA was on-target, it was in fact very far behind, with waiting times up by 85 per cent. Honourable mention was given to the disability campaigns Disabled People Against Cuts (DPAC) and Black Triangle. Dishonourable mention was made of police brutality at last Friday’s protest outside the headquarters of Atos and the DWP in London. Calls were made to reduce unnecessary assessments (of people whose condition was unlikely to change), anger was expressed that Atos is a sponsor of the Paralympics. The debate heard that applicants find the process of going through the Work Capability Assessment terrifying (I can personally attest to this, having witnessed my girlfriend’s. Terrifying and humiliating) – and that it was felt to take away their dignity as human beings. Sadly, nobody called for a comprehensive study of the mortality rate. Not one single Coalition backbencher indicated a desire to speak. Amid all this, one online wit tweeted: “I do hope Osborne comes in at the end to take the now-traditional booing” – a reference to an incident the day before, which has already become infamous, when the Chancellor appeared at the Paralympics to hand out medals and was booed by the 60,000-strong stadium crowd. For another perspective on the debate, please see the BBC website’s report at – oh. There isn’t one.